You are currently browsing the category archive for the ‘Spiderling’ category. 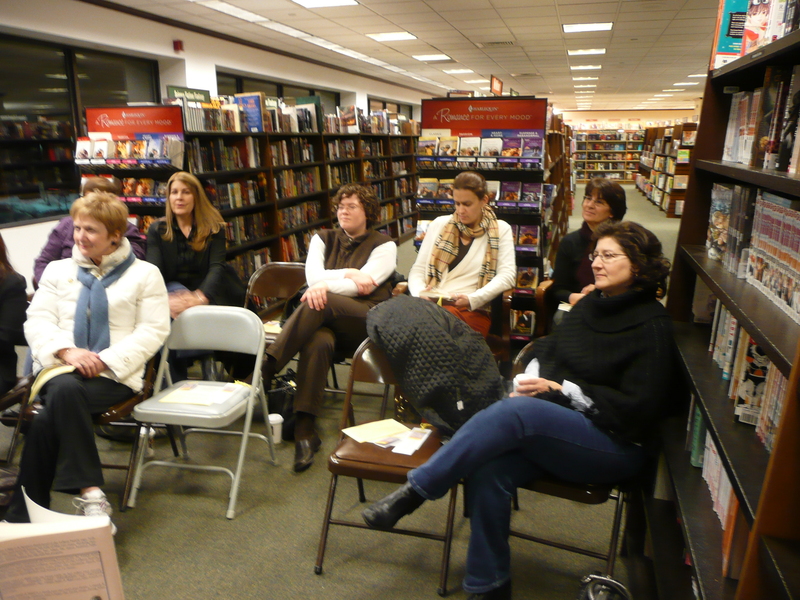 K Spirito Meets With The Windham Newcomers and Friends “Book Bites” Reading Group at the Salem, NH Barnes & Noble Booksellers on January 17, 2011! 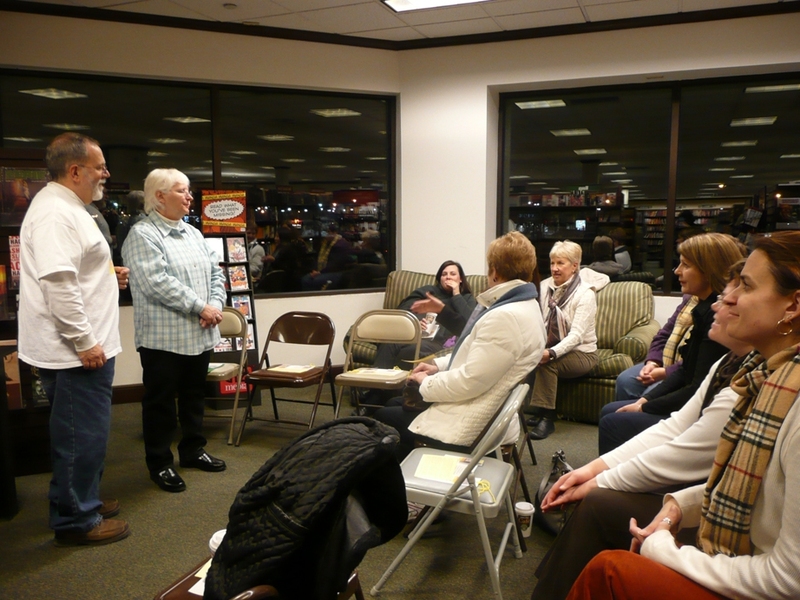 Sal and I had a wonderful evening at the Salem, NH Barnes & Noble talking with The Windham Newcomers and Friends “Book Bites” Reading Group. 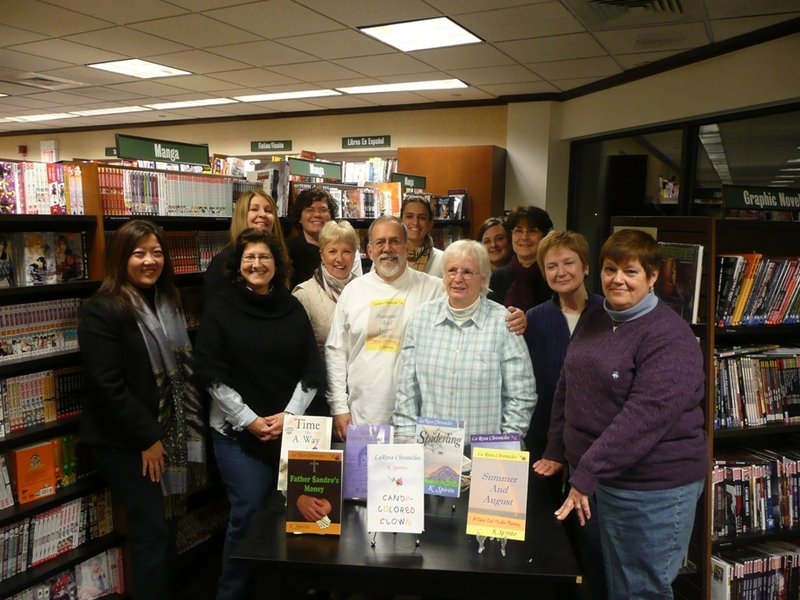 Sincerest thanks to Sandy and Dyan for inviting us to met with the reading group and to the Salem, NH B&N Community Relations Manager, Mary Ellen, for hosting this event! We talked about LaRosa Chronicles, A Snowy Day Distribution & Publishing, writing, book titles, cover design, and so much more. If the store didn’t close at 10:00pm we might still be talking! Windham Newcomers is a non-profit group whose ultimate mission is to promote social activities for women who are new in town, as well as established residents who would like to form new friendships and expand personal interests and activities. Sal and I truly feel we made many new friends at this meeting! There is much more going on, including another private book club meeting this week, but I will save that for another day. Here are a few pictures of some of our new friends from The Windham Newcomers and Friends “Book Bites” Reading Group! Today, October 23, 2010, we have an Encore book signing at The Toadstool Bookshops, in Keene, NH! We always enjoy our times at all three Toadstool Bookshops. This Saturday, we have an encore visit to the Toadstool in Keene, NH. We look forward to seeing many old friends and meeting many new friends during this visit. See you there! and Summer And August. Tell all your e-book reader friends! Yesterday, Tommy Gray Drowned will be available through Kindle and Nook within the next month, or so! On Saturday, October 16th we had an Encore Event for SUMMER AND AUGUST at the Barnes & Noble Booksellers, on Route 28, in Salem, NH! I thank each and every one of you who made this event, on Saturday, October 16, 2010 at the Barnes & Noble Booksellers in Salem, NH, another success! 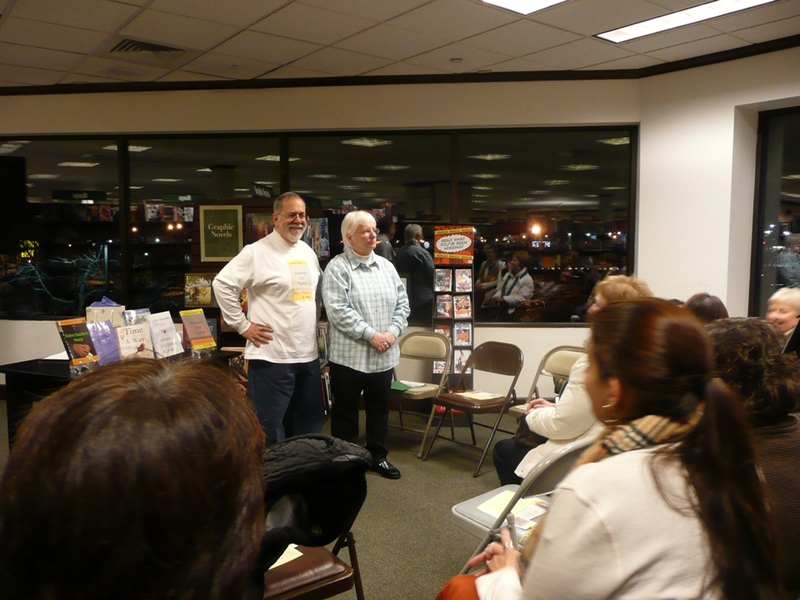 This was the third Barnes And Noble sell-out event! Sincere thanks to Mary Ellen for having us back at this incredible Barnes & Noble store in Salem, NH! You and the associates of this store made Sal and me feel right at home, again. At this event the store also featured Summer And August, Father Sandro’s Money, Candy-Colored Clown, Spiderling and Piscatagua on Nook. Saturday, we had some customers purchase a Nook and our books on Nook! Pass the word to anyone you know in the Salem, NH area; especially those who live across the border in MA. the Salem, NH Barnes & Noble store has the largest area dedicated the Nook and Nook accessories that we’ve ever seen! And there’s no sales tax in New Hampshire! Father Sandro’s Money; Candy-Colored Clown; Spiderling; Piscatagua and Summer And August are now available on Nook and Kindle! Tell everyone you know, who owns a Nook, that Summer And August, as well as Father Sandro’s Money; Spiderling and Piscatagua are now available on Nook and on Kindle!